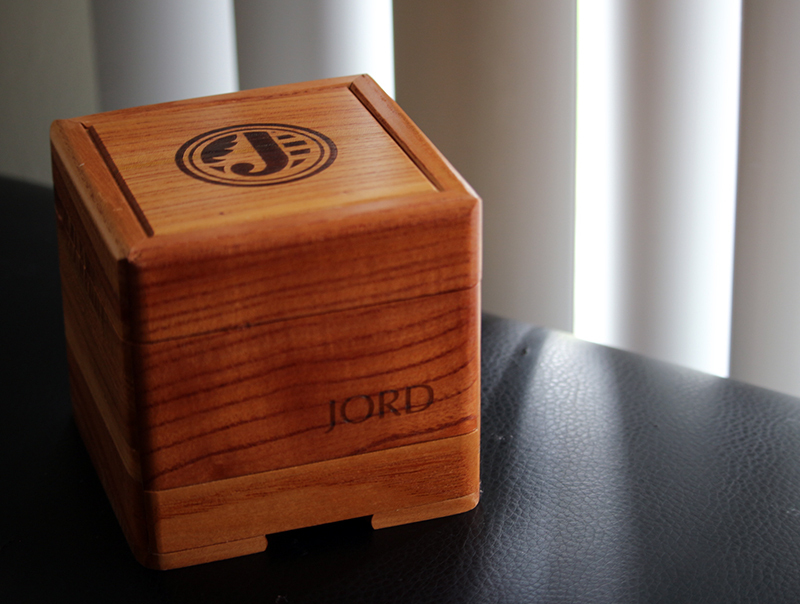 When I first heard about JORD, I thought to myself what an interesting concept it was. 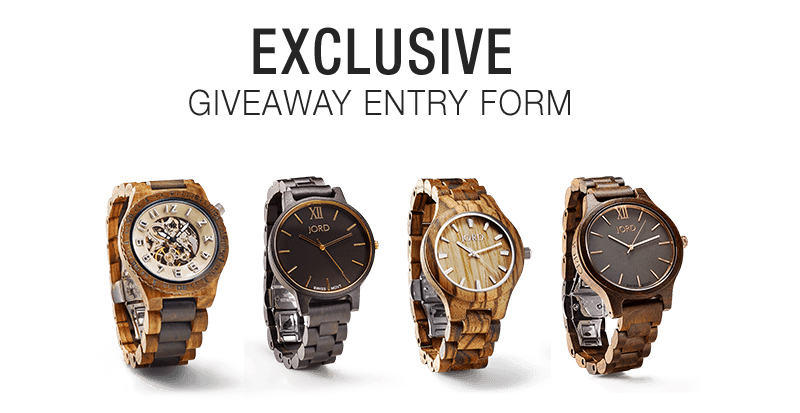 Custom engraved, unique wooden watches beautifully crafted for both men and women. 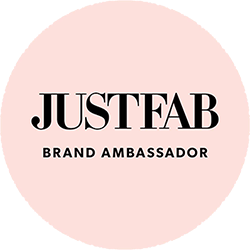 When I was contacted to collaborate with this brand, I didn't hesitate about it. Even though I wasn't sure what my wrist size was, I took a wild guess since I didn't have a measuring tape at hand. Luckily, the watch fit perfectly! 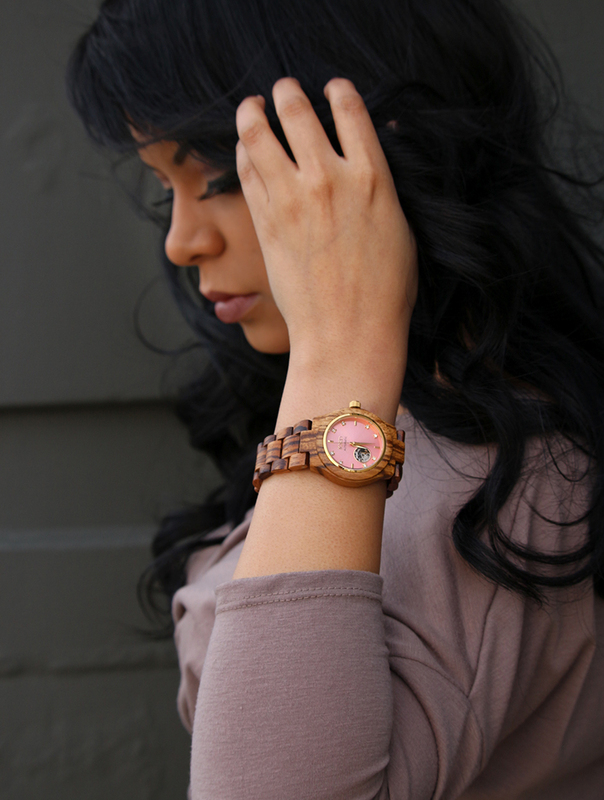 I chose the CORA series Zebrawood & Rosé (comes in 3 different color choices by the way if pink doesn't tickle your fancy.) My first impression was WOW! What a sophisticated, unique watch and this is coming from someone who isn't persuaded just by any watch. I was so mesmerized by its beauty, I just didn't even want to take it out its packaging. 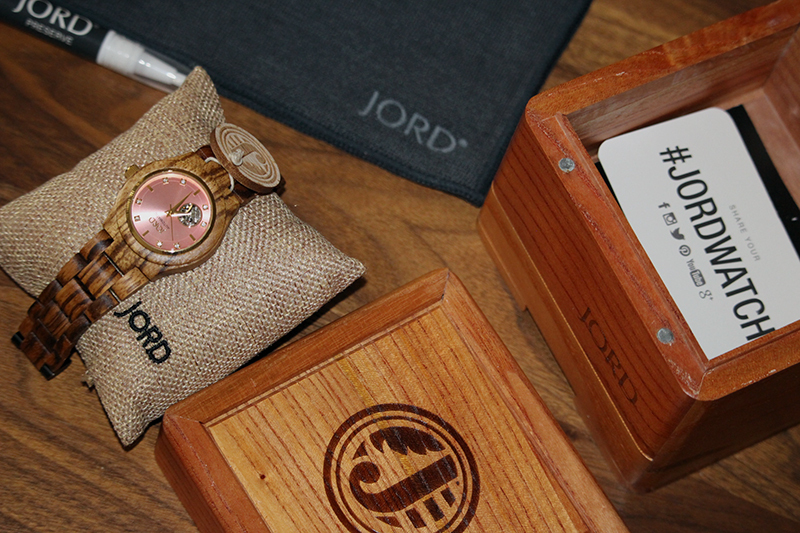 The watch came in a very elegant wooden box containing instructions, a call to action card, and a watch care kit consisting of a cloth and cleaning oil to preserve and clean your timepiece. 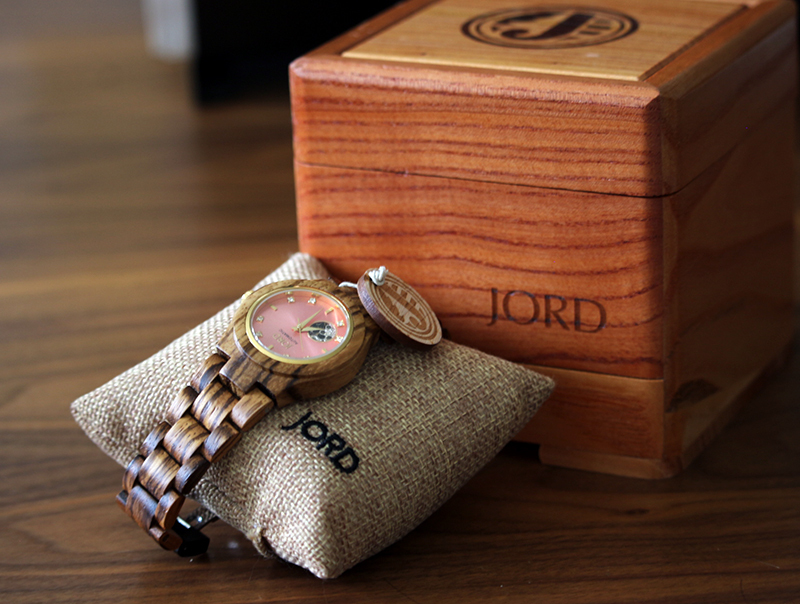 Needless to say, I'm so pleased with my new watch and with Mother's Day and graduation dates around the corner what a better gift than a unique JORD watch. A gift that's timeless. PS: You might be just in luck! 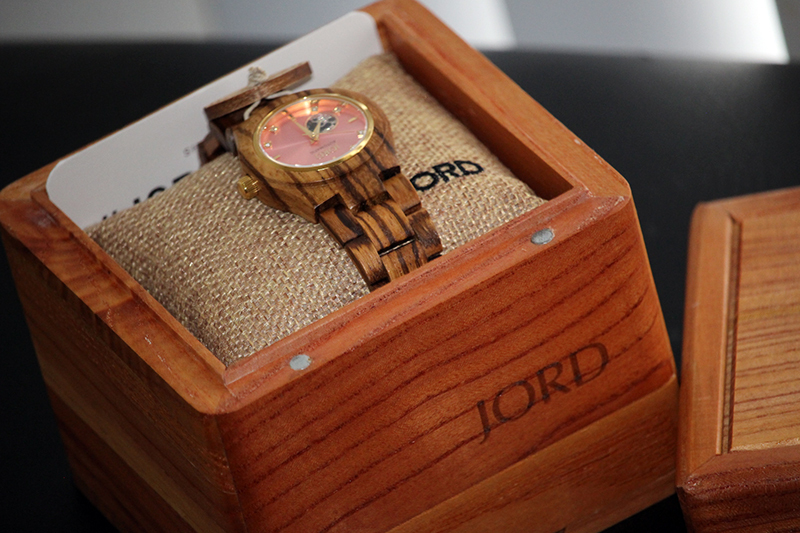 JORD is giving all of you my beloved readers the chance to enter to win a $100 gift code to use on the site! One lucky person will win, but everyone will receive a consolation code worth $25 once the contest ends! Everyone wins! All you have to do is fill out this form with your name and email to enter. The giveaway will close 05/07/2017 at 11:59pm. Both the $100 and the $25 codes will expire on 07/31/2017. Good luck everyone!